Previously the only brewery in Denver without a tap room, Great Divide Brewing will change that Monday. The brewery’s Tap Room, at 2201 Arapahoe St., will be open 2-7 p.m. Monday-Friday and noon-5 p.m. on Saturday. 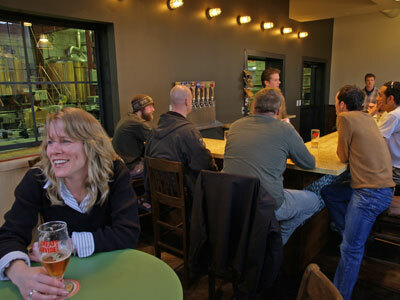 Brewery tours will begin in the tap room at 2 p.m. and 4 p.m. weekdays and hourly on Saturday. Co-founder Brian Dunn said the opening of the Tap Room has come about in response to increased demand for his company’s beers, and a growing number of visitors to the brewery.